As part of our mission to help people with immigration issues, this guide is part of our immigration guide series. It also covers our pro bono help to qualifying religious organizations. Moreover, it explains immigration for religious organizations. For example, we have helped YWAM bases like YWAM Montana. 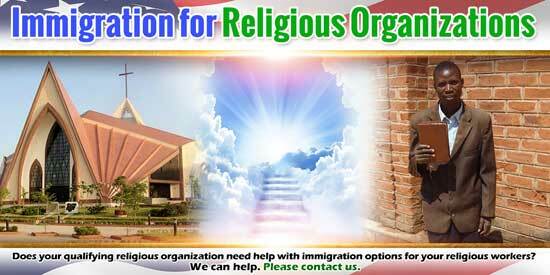 If your religious organization has an immigration issue, please contact us to see if we can assist you. We are very familiar with the United States Citizenship and Immigration Services (USCIS) regulations for R-1 religious workers. We understand what the USCIS requires in order to be successful petitioning for an R-1 religious worker. Guide To Immigration is there to help you in case you have any problems related to immigrants. These workers can be ministers, or regular religious workers in a denomination advancing the religious beliefs of the organization. We’re particularly familiar with the R-1 visa salary requirement, especially for self-funded missionaries.US Immigration law provides for temporary authorization to work in the US for religious organizations through the R-1 visa. Many religious workers first enter the United States as volunteers using the B-1 business visa, volunteer visa USA category. Immigration for religious organizations often means starting a non-US citizen in the United States as a religious worker or volunteer. Immigration Resource Guide believe the volunteer visa is the best choice. Religious workers can receive a volunteer visa by demonstrating that they meet the requirements. This visa is also open to ministers of religion under certain circumstances. We can advise your religious organization on how to prepare a letter to ease issuing this visa. Once a missionary or religious worker is here as a volunteer, if they wish to stay longer than six months, we can help them with an extension of stay request. Similarly, if they wish to change status from B-1 volunteer visa to R-1 religious worker, we can file the R-1 visa application with a change of status request. For religious workers who have at least two years experience working with a qualifying religious organization in the United States, receiving a green card through sponsorship by the organization is an option. Guide To Immigration Law are familiar with the USCIS rules on green cards for religious workers and can help with this facet of immigration for religious organizations. Immigration Law Guide loves helping religious organizations with their mission to advance the Kingdom of God. If you are a qualifying religious organization and need help with immigration for religious organizations, please contact us to see if we can help you.